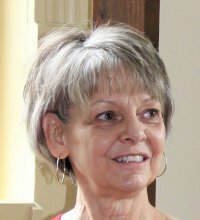 Deborah Adams is the author of seven novels and numerous works of short fiction under her own name, as well as other works published under a pseudonym. She welcomes your comments through the Contact form on this website. Flair and Macavity Award-winner Deborah Adams' first novel, All The Great Pretenders, was nominated for the Agatha Award in 1993. Since that time, Adams has earned a reputation among readers, critics, and booksellers as a talented author who consistently produces a more compelling story with each new novel. A seventh-generation Tennessean, Adams brings to her work an appreciation for the lore and traditions of the South. Combining her sharply perceptive observations of human nature with a mature and biting wit, she creates satirical novels that gently tweak the reader's conscience while mercilessly tickling the funny bone. She has been a guest lecturer at numerous events, including the Southern Festival of Books, Appalachian Studies Conference, the Warioto Regional Library Board of Trustees Conference, Southeastern Booksellers Association, Midwest Mystery Conference, Georgia Library Association Convention, Emory University, East Tennessee State University Writers Program and the Appalachian Writers Conference at Radford (VA) University. She is a member of the Southern Literary Coalition, the Tennessee Writers Alliance, and the National Network to End Violence Against Immigrant Women.